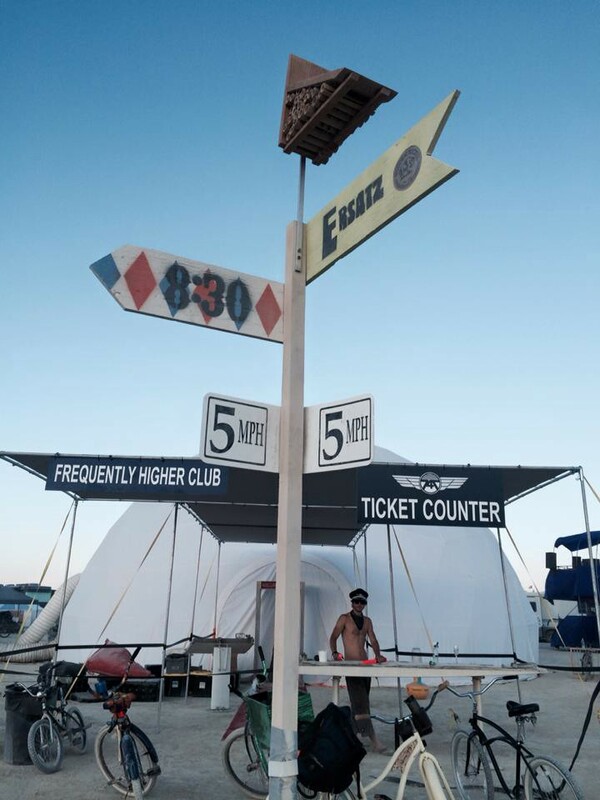 The 2015 camp offered an interactive First Class Lounge experience as a teaser to the 2016 747 experience. First time Burning Man camp Big Imagination kicked off our inaugural year on the playa with a First Class Lounge experience available to weary dust bunnies. The camp, born from a group involved with the Big Imagination Foundation who were have been working for several years now to bring a 747 to Burning Man as an art car, prepped the 2016 arrival of the plane with a teaser experience in 2015 revolving around the project’s core themes of dreaming big, transporting one’s self and community, and choosing your ideal destinations. Travelers were welcomed up to our Front Desk where they were prepped for their pre-flight experience, then ushered through the Insecurity Checkpoint, where they were scanned by our friendly and efficient TSA (Total Self Acceptance) agents to make sure they divested themselves of all those pesky sharp objects and negative vibes. 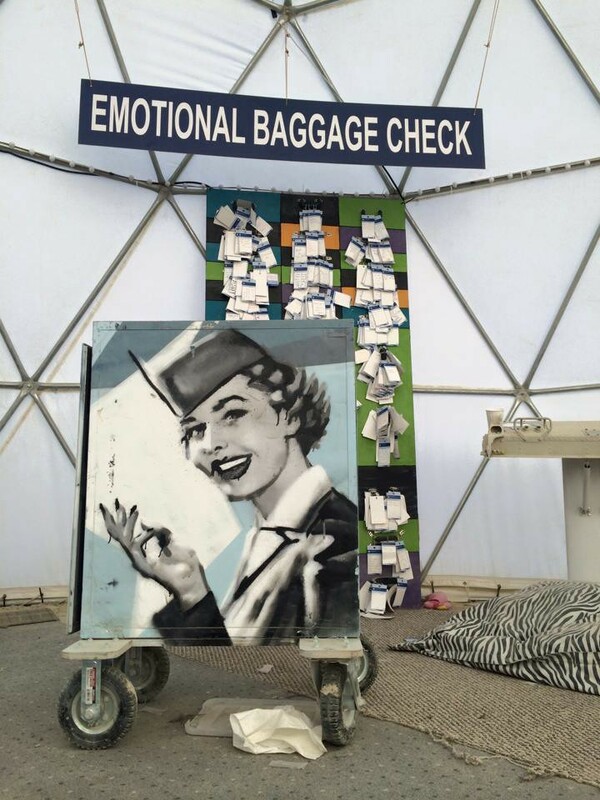 Once entering the lounge area, they were invited to take a moment and reflect on what Emotional Baggage they chose to check and leave behind (later transported by camp Flight Crew to the Temple to be burned). Finally, they were asked to ponder what their chosen destinations would be — what vistas, be they destinations, life goals, or inner states, were they deciding to commit their experience to? 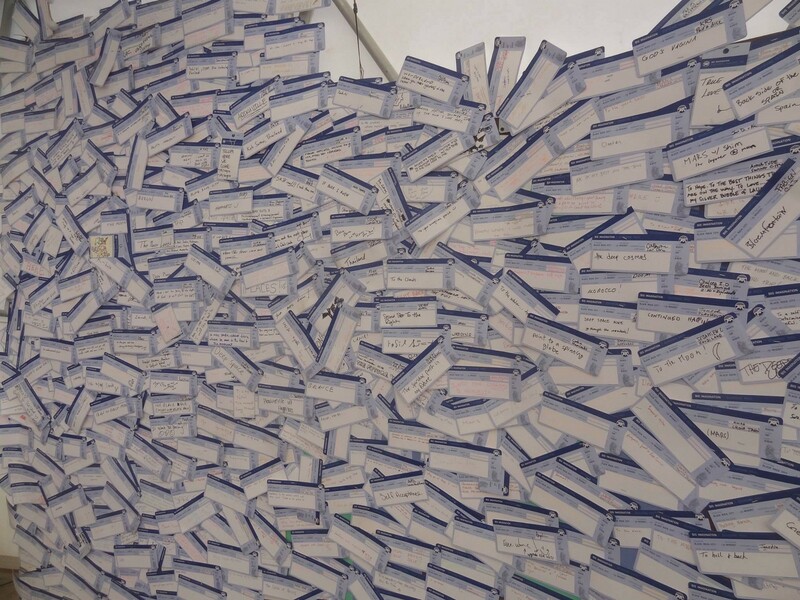 Emotional Baggage tags were transported to the Temple before the burn, and an additional wall was filled with hundreds of tags where visitors shared their intended destinations. Afterward, all guests were welcome to (literally) chill in the air-conditioned lounge, and enjoy occasional series of live music and parties thrown by Big Imagination campmates. Also featured was an eight person Speaker Series, “Building The Future That We Can Imagine,” a panel of passionate experts across topics such as the future of medicine, drones, biology and DNA, and oceanic exploration. 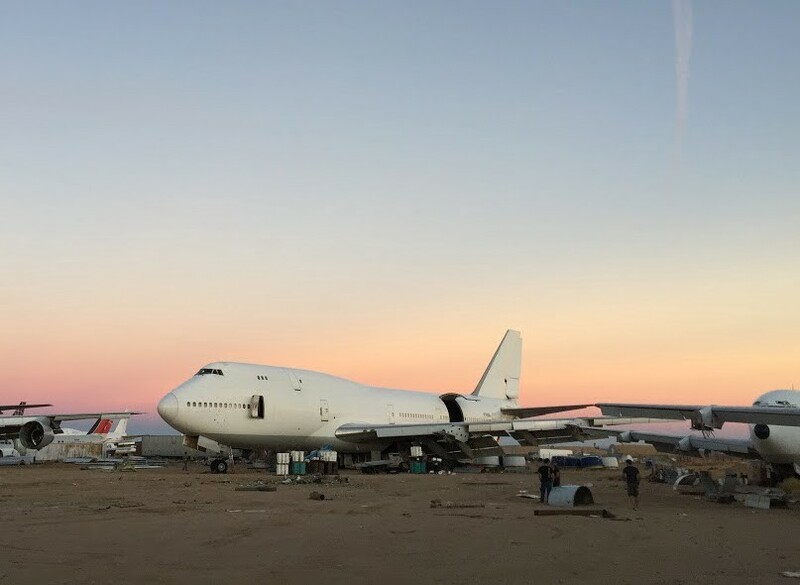 The foundation and camp have completed Phase One of The 747 Project, having purchased the plane and begun (de)construction in the Mojave Desert. 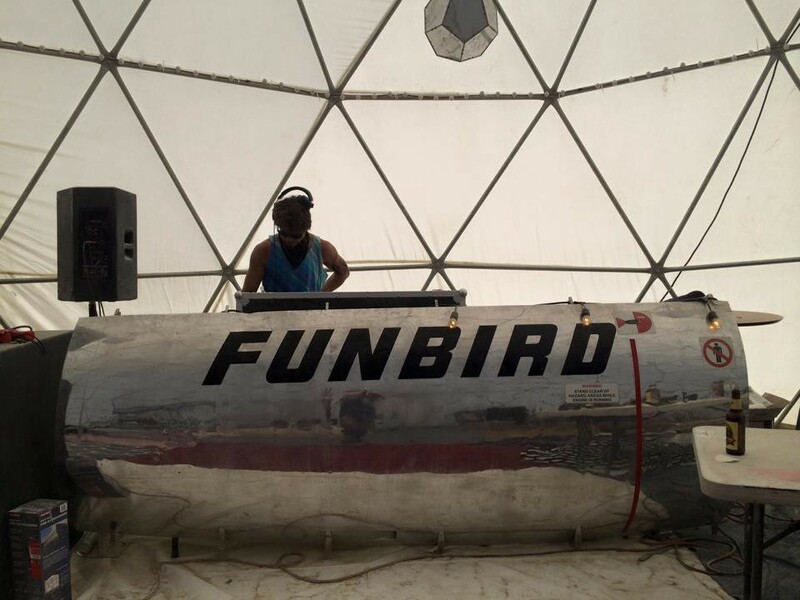 They are now running a crowdfunding campaign to raise the funds to bring the first portion of the plane to Burning Man in August of 2016 — see the video here. Actual plane parts were used throughout the First Class Lounge. The Destination wall showcased hundreds of people’s thoughts about their desired destinations … be they a mindset, a goal for the festival, or a larger theme or plan for their lives. They, along, with the Emotional Baggage tags (for what travelers intend to leave behind) were very emotional and inspiring reading at times.